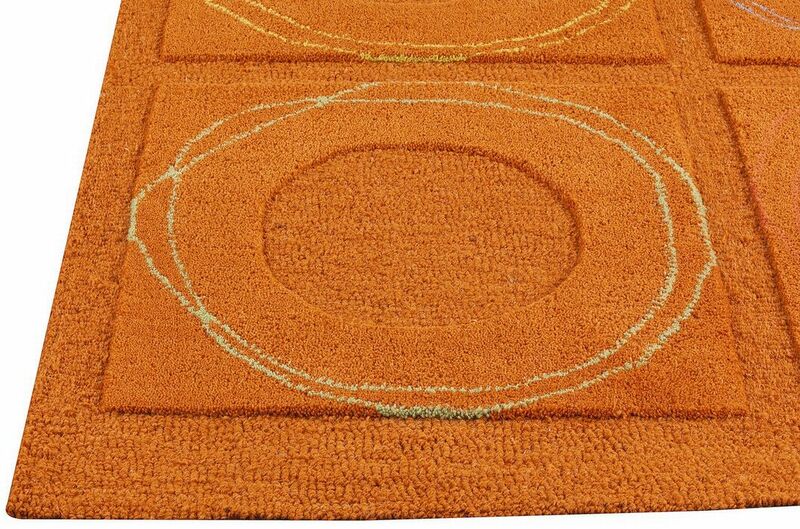 MAT Orange Circa Area Rug - Rust - Swatches may be available. Hand Tufted. Contemporary. 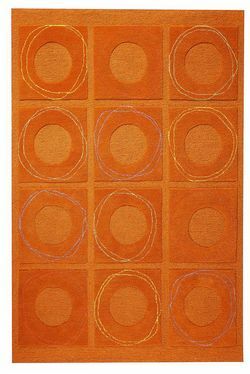 A grown up design that faintly reminds one of the childhood game of tic-tac-toe makes the Circa rug a wonderful choice for a living area or styled spare bedroom. Contrasting colored circles lend an energetic feel to this special floor decor. 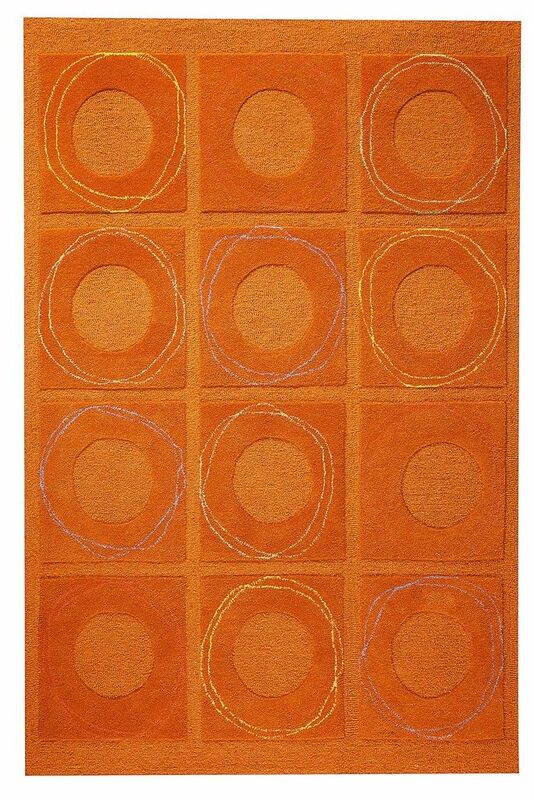 This hand-tufted Symmetrical style floor covering is artisan made using 100% Indian wool and is available in several color and size options to best accommodate your preferences. Hand Tufted with 100% Indian Wool. Geometric design. 100% Indian Wool. Cut and Loop; High Low; Hand Carved. Pile height is .5 inches. Made in India. MAT Orange Circa Area Rug - Rust 5'0"x7'0"
MAT Orange Circa Area Rug - Rust 7'6"x9'6"